In just one moment, life changes. A baby is born, and nothing will ever be the same again. You are now a parent, but you are also a working professional. Juggling parenthood and a career is something parents have been trying to figure out for years. It’s also something employers have been trying to wrap their heads around – how to work with employees who are parents amidst family demands. According to the United States Department of Labor, some 89.3 percent of families with children had at least one employed parent in 2015. Among married-couple families with children, 96.7 percent had at least one employed parent, and both parents worked in 60.6 percent of married-couple families. With statistics that high, it has become critical over the years for both large corporations and small businesses alike to develop appealing programs to both recruit and retain working parents. And not hiring parents is certainly not the answer. First of all, it is nearly impossible as they primarily make up the workforce, and secondly, you would miss out on a wealth of talent. 89.3 percent of families with children had at least one employed parent in 2015. 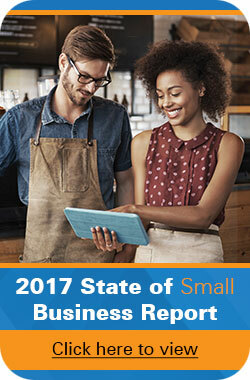 The 2016 State of Small Business Report reveals that 50 percent of small businesses plan to hire employees this year, up 12 percent from last year. Of that 50 percent, 29 percent site they plan to hire new employees to improve revenue growth. So the issue at hand is how these small businesses work with the parents they hire to foster a beneficial relationship for both parties. It is not necessary to re-invent the wheel. Companies across the globe have adopted programs that foster advantageous business relationships for employers and employees. In fact, many of them have done it so well, they have made the 2015 Working Mother 100 Best Companies list. 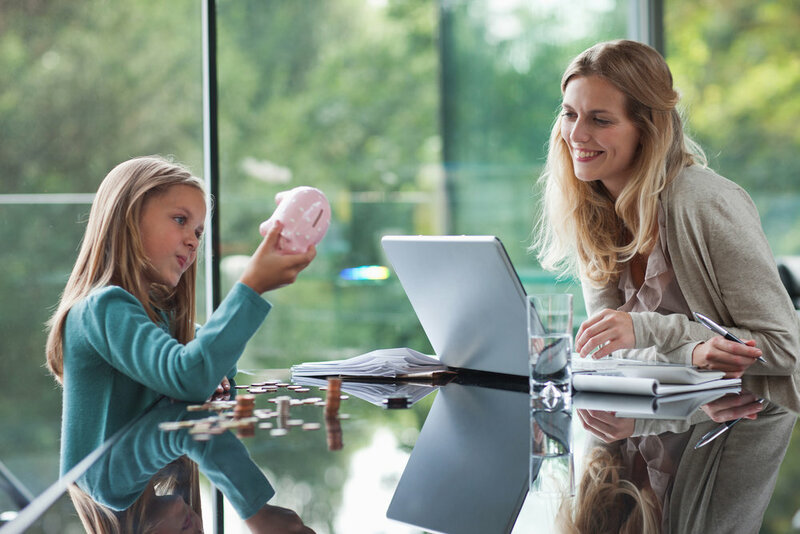 In its 30th year, the initiative reveals companies that offer the best parental benefits including flexible work arrangements and parental leave, while it also serves as a benchmark for other companies, guiding them as they develop their parental benefits packages. In 2015, the winning companies have set the bar at a new level, noting that on average, all offer maternity leave averaging eight weeks and the majority offer three weeks of paid paternity leave and five weeks of paid adoption leave for caregivers. All companies offer flextime jobs and telecommuting and some 75 percent of the total work force employed at the 100 Best Companies engage in flexible work arrangements, while 53 percent utilize telecommuting. It’s not just working mothers. In today’s society, fathers don’t want to miss little league games and school programs either. Not that other generations did, but without technology, a dad was less likely to make middle of the day school programs or 5 o’clock ball games. Now, the same percentage of working fathers use telecommuting as working mothers, and women only lead the way in using flextime by 2 percent over men. Flextime allows employees to work a set number of hours with altered start and finish times to accommodate their personal schedule. So instead of a typical 8 to 5 schedule, one might begin later to be able to take children to school and leave a few hours early to be able to pick them up. That’s not to say the other hours are lost. Some may choose to finish out the work day at home or job share with another employee. Whatever the arrangement, the benefits are good for both employee and employer, as the employee will most likely be more dedicated to a company that values the fact that there is life outside of work and is willing to work around their schedule. Telecommuting is a form of flextime that allows employees to work somewhere other than the brick and mortar office building where the company is housed. With technological advances, being connected is not a problem. With computers, Internet and smartphones, no one can really tell where you are working. And does it matter? As long as the job is getting done, does it matter if you are at your home office 300 miles away from the corporate home office? In a word, no. Small businesses are no different than large corporations when it comes to the idea of a virtual office. A leader in telecommuting, Xerox employs over 140,000 employees in 180 countries around the world, and 70,000 of these employees are based in the U.S. while 11 percent, which equates to 8,000 employees, work remotely 100 percent of the time. Another large corporation, Aetna, employs 48,000 people and some 43 percent of them telecommute, while Dell employs around 100,000 people and around 20 percent of their workforce telecommutes. This type of platform allows small businesses and large alike to expand their talent pool. The best person for the job you are hiring for may live across the country, but with this structure, a relocation package isn’t necessarily required. According to a study by the National Work/ Life Measurement Project, 70 percent of managers and 87 percent of employees reported flexible work arrangements have a positive impact on productivity and greatly improved the quality of work. Additionally, 80 percent of employees said flexible hours had a positive effect in retention. Surrounding these statistics, the best takeaway for small businesses is that flextime and telecommuting are not perks. They are business strategies. Applying them to your company does not happen overnight. Without clear guidelines, the strategy can become a nightmare. First consider what positions are appropriate for flextime and telecommuting. It may not work for your front desk employee, but it may for your bookkeeper. Talk with employees about their needs and what they desire in a flexible position. Discuss it with applicants who wish to work for you. Understanding your employees’ needs will help develop the program to suit. Simply offering the benefit is not enough. While you trust your employees, the ever demanding lifestyle of today’s professionals can lead to a few minutes here and a few minutes there not being accounted for or just as likely, accounted for but not performed. A few minutes over time adds up. Keeping track of time and attendance is crucial and simply relying on a manual job log is quickly becoming antiquated. Technological advances not only allow for flextime and telecommuting, but also in the development of more effective scheduling systems of time and attendance. These systems not only record hours worked, they aid various departments, such as Human Resources and Finance to deal with the ever changing working environment, synchronizing time and attendance data. Businesses using effective time and attendance systems find staff productivity and performance is increased and hours wasted monitoring staff and timekeeping is reduced. Instead of filling out time cards, employers and employees alike, both on-site and virtual, are finding that biometric time clocks reduce errors in calculating time worked and increase productivity, as employees are not spending time logging hours. The biometric time clock utilizes the unique attributes of employees (such as fingerprint or iris recognition) to keep track of when they’re clocking in and out, as well as where they’re clocking in from. It also alleviates the idea of time card theft and human error – not that any of your employees would ever do that. As mentioned, there is no reason to create something that already exists with a proven history of success. Take a look at the 100 Best Companies for ideas and strategies to determine which offerings best match your particular business. Talk with your staff and then put your plan into place. Then, implement your new procedures, or if you are a new start up – go hire the best people to fit the bill.